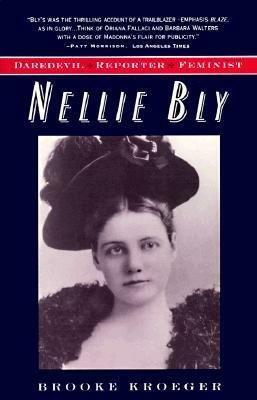 You can read Nellie’s own book about her global voyage Around the World in 72 Days here. 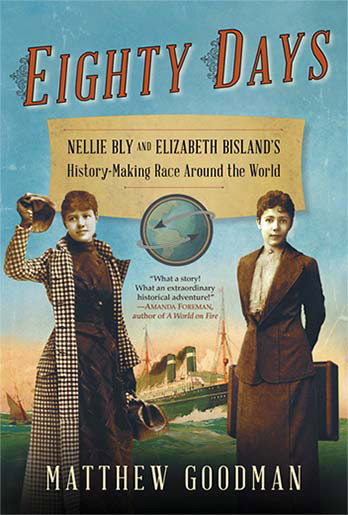 A vivid real-life re-creation of the race between Nellie Bly and Elizabeth Bisland to circle the globe. 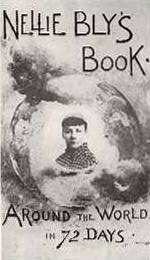 From its frenzied start to the nail-biting dash at its finish, Eighty Days is history with the heart of a great adventure novel. Here’s the journey that takes us behind the walls of Jules Verne’s Amiens estate, into the back alleys of Hong Kong, onto the grounds of a Ceylon tea plantation, through storm-tossed ocean crossings and mountains blocked by snowdrifts twenty feet deep, and to many more unexpected and exotic locales from London to Yokohama.